We already know that bacteria live in your body all the time, as does the Candida organism. There is usually a healthy balance of both, with good bacteria helping to support your immune system, promoting healthy digestion, and keeping the level of Candida in your body in check. Somewhere along the line, this healthy balance was disrupted. It may have been from antibiotic use, from stress, from the use of medications like steroids or birth control, or from some other illness or trigger. Regardless of the cause, the level of Candida in your body was able to overcome and overthrow the level of good bacteria in your body. The second problem is that Candida, as a yeast organism, can grow very quickly. So once the Candida did knock your bacteria levels out of balance, it was able to grow quickly and maintain control. The Candida treatment protocol can be difficult with cleanses and strict diet protocols, but it is important to immediately begin taking probiotics to replace the good bacteria that was once in your body. As soon as the Candida begins to die-off, you’ll want to start replenishing the healthy bacteria levels so that they can find any additional yeast growth. Probiotics work by helping your body to rebuild the immune system, by leveling out the acidity in your intestines, and by crowding out any of the extra Candida still trying to hang around. You’ll start your probiotic regime after your cleanse is over. If you do it during the Candida cleanse you’ll just end up flushing out the good bacteria with the bad bacteria and Candida already there. Timing here will be very important. You are actually going to take both probiotics and antifungal supplements. Both will work to kill the Candida in your body, and the problem with this is that you will start to experience some unpleasant symptoms as the Candida dies off and releases toxins into your body. For this reason, you will likely want to start your antifungal supplements first, use them for a week or two, and then introduce the probiotics after (at this point taking both together). This will reduce the severity of the Candida die-off and diminish the unpleasantness of your experience. There are tons of probiotic supplements on the market today. Your best bet is to buy a probiotic that has anywhere from 1 to 100 billion bacteria per capsule. For those with a Candida overgrowth, the more the better; but you may again want to start lower and then work your way up to higher amounts as you continue your treatment. Start with a moderate dose, make sure the die-off symptoms aren’t too severe to live with, and then increase your dosage. 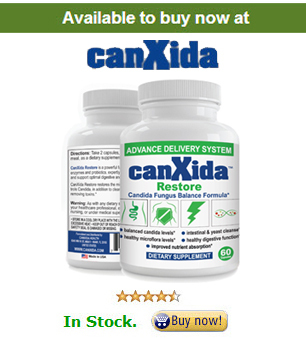 In my experience canxida restore probiotic is the best when it comes to specialty probiotic for candida yeast infection. They been in the industry since 2001. You can also read my article on How To Choose A Probiotic. While there are probiotics with tons of different strains in them, the most important to look for are Lactobacillus Acidophilus and Bifidobacteri Bifidum. Probiotics with these and at least 5 other strains should work just fine; but you may opt to buy a variation with more. It’s up to you. Since you are avoiding certain food ingredients, you’ll want to find a capsule that is made with gluten-free ingredients (usually within the capsule itself). It’s very likely that antibiotics contributed to your situation in the first place, but there may be a time in your life, moving forward, where you genuinely need them. Individuals who take probiotics while they are on antibiotics are reported to suffer fewer side effects, including Candida-related infections. The trick to taking probiotics while on antibiotics is timing. You can’t take the two together or the antibiotic will kill the bad bacteria it is intended to fight as well as the good bacteria in your pills. Take your antibiotics, wait a couple of hours, and then take your probiotics. This will enable the probiotic to replenish the good bacteria without disrupting the work of the antibiotic. Choosing a good probiotic isn’t necessarily easy. You may need to try more than one to find a quality you’re really happy with. Just don’t give up.